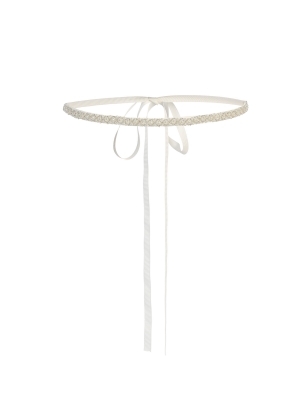 This is a great belt to add to any dress that you want to give an extra special touch to. 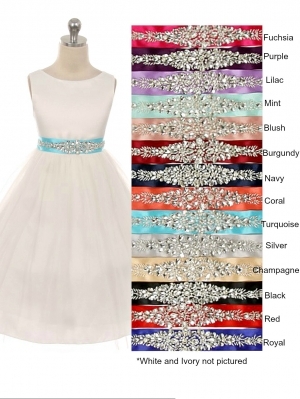 This is a super easy and economical way to bling out an existing dress or to get future usage out of a basic dress. 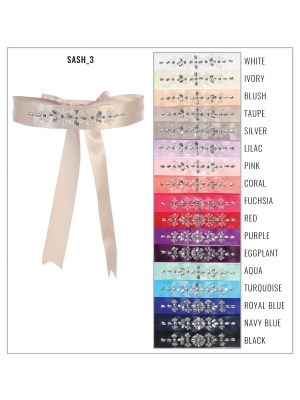 Beautiful high quality bridal stones set on satin ribbon. Surely to please everyone with all of the wide range of colors offered. These are sold final sale- exchange only products due to the nature of usage. This is 1.5 inches wide by approximately 80 inches long- and can be simply cut with a pair sharp scissors to shorten it.